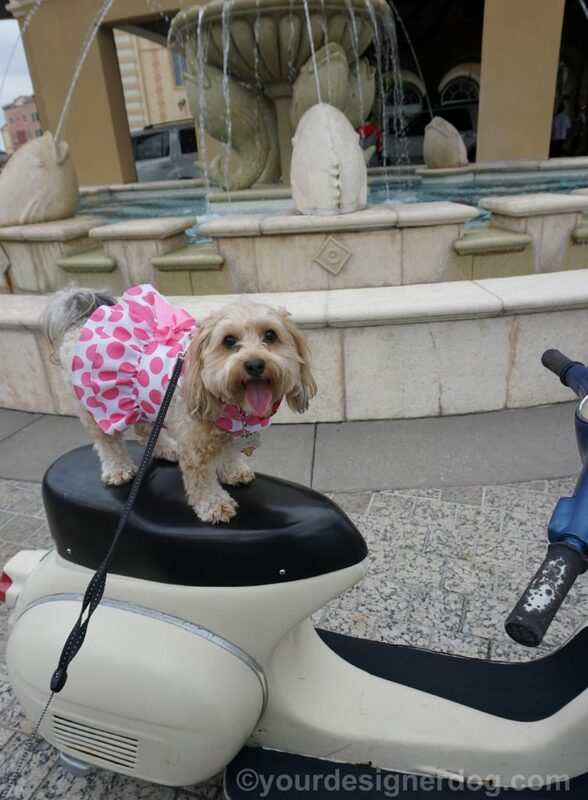 For this week’s Tongue Out Tuesday photos, I’m sharing some pictures of Sadie “riding” on a scooter. I put riding in quotes here because this particular scooter is actually bolted to the ground. 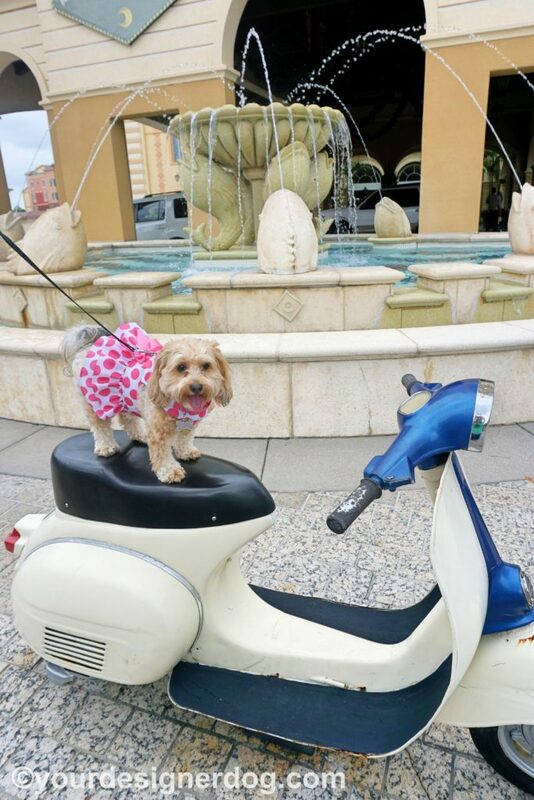 It’s meant as a cute photo prop for some family photos in front of the picturesque fountain. 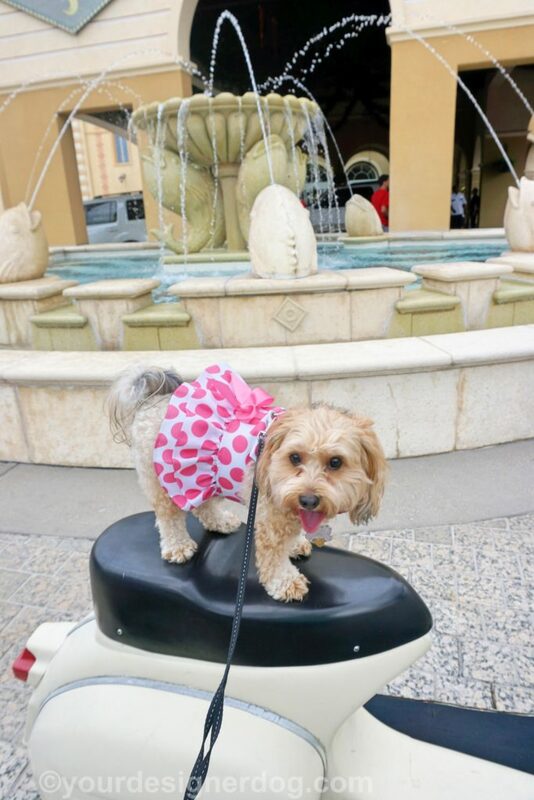 While this fake scooter was fun for our photos, Sadie won’t be riding any real scooters anytime soon. 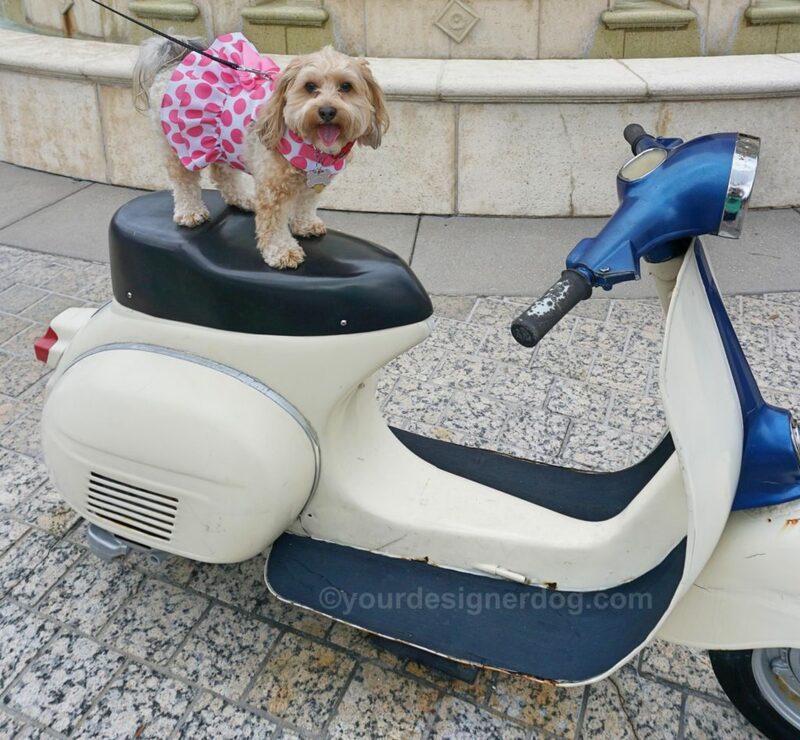 I am way too overprotective to let my fur baby ride away without wearing a helmet. that is an adorable photo. 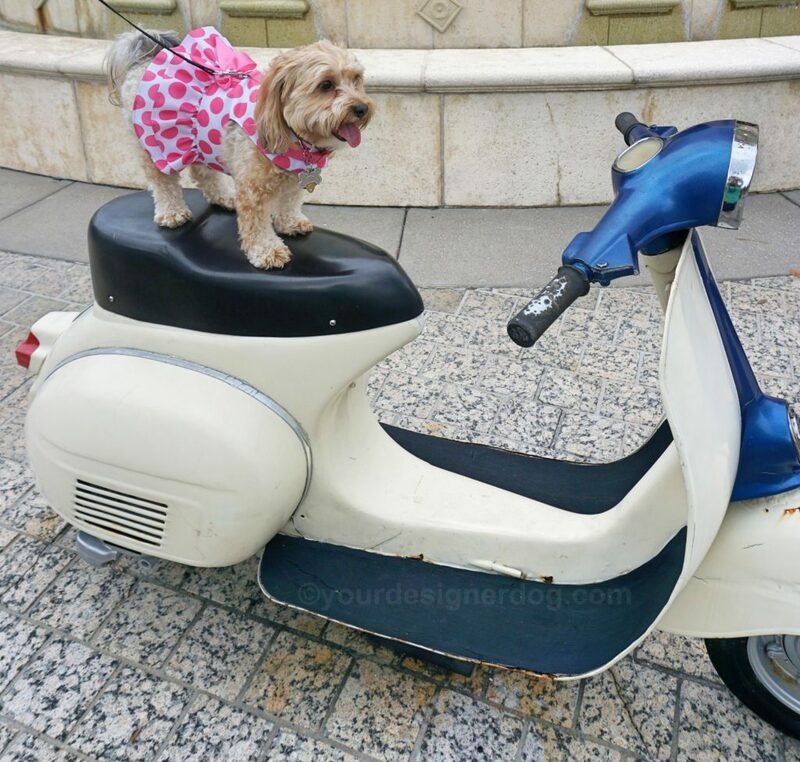 your scooter? Adorable! I love her little dress!